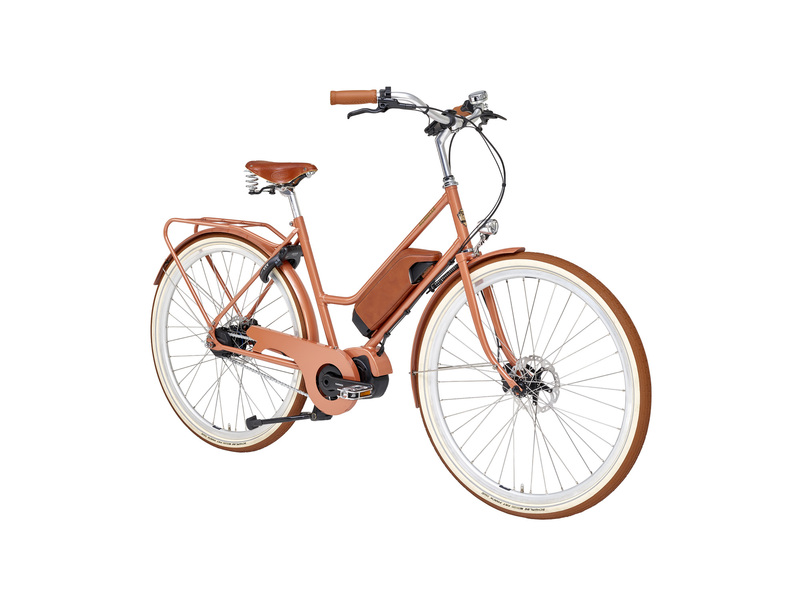 It is common knowledge that an electric bicycle needs to provide appropriate support, have a good range and be reliable as well as easy to maintain. 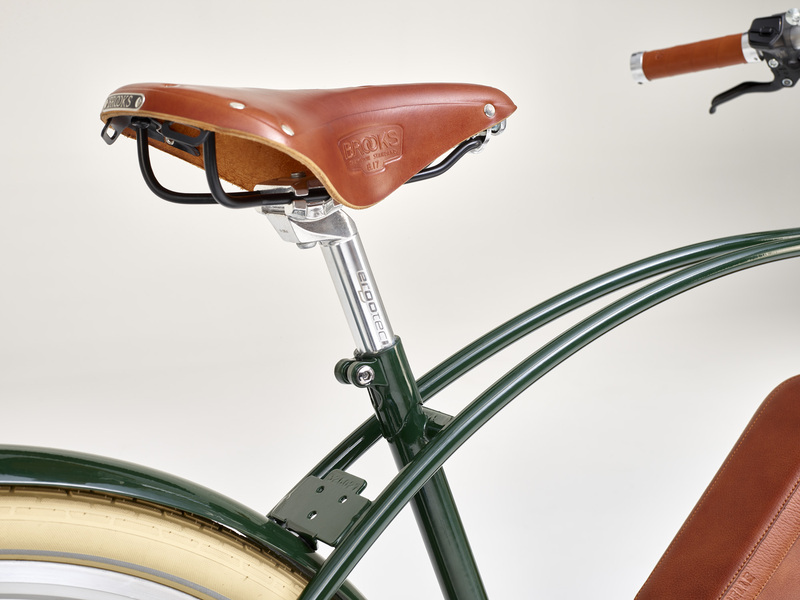 However, we tend to forget that such a bike can also be beautiful and elegant. 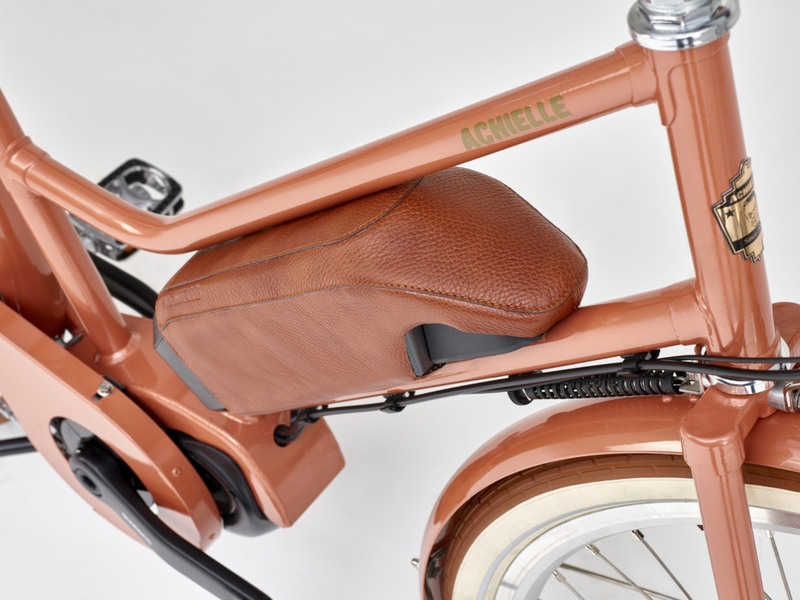 Ernest & Emma are high-quality bicycles with the typical Achielle appearance. 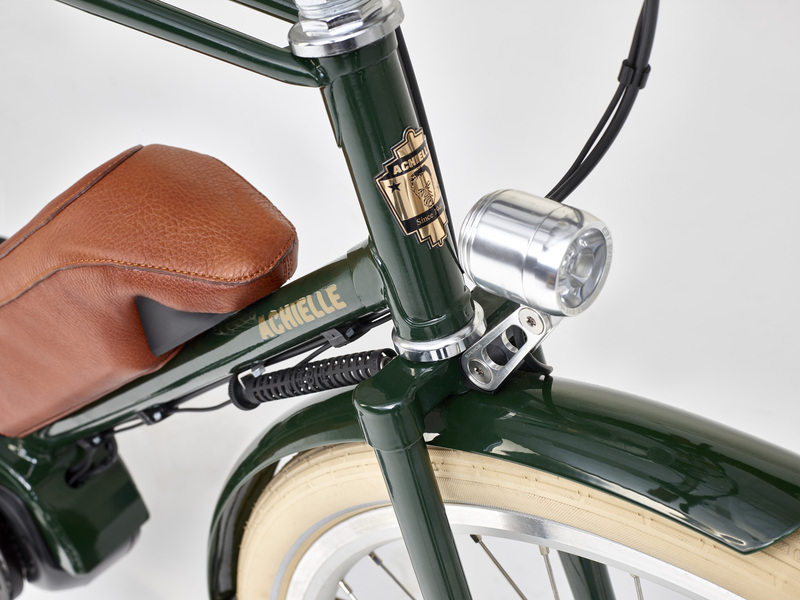 Making a quick trip to the shop, visiting an outdoor café on Sunday or avoiding the traffic jams on your way to work? All is possible with this e-bike. In addition, you do not have to put in a lot of effort, you do not arrive at your destination covered in sweat and you do not need to worry about finding a parking space. 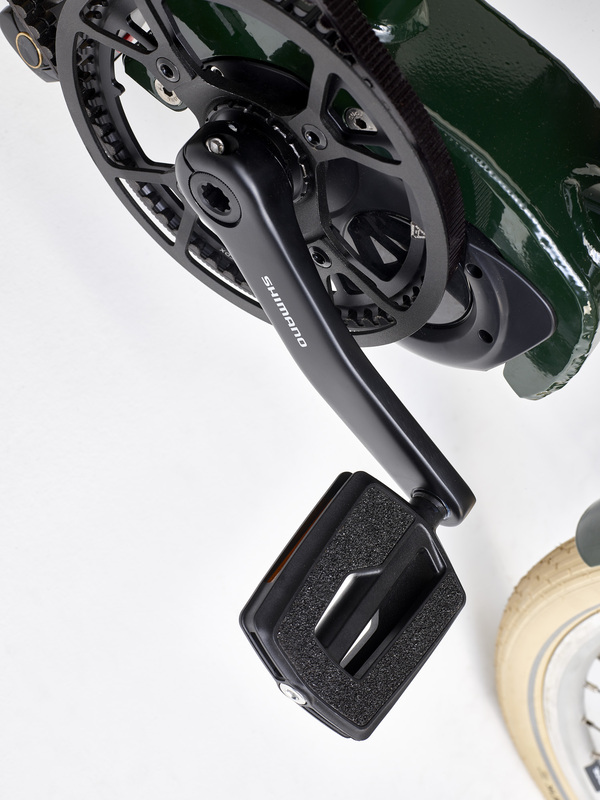 The ingenious Shimano system supports you in a natural manner and is easy and intuitive to use. 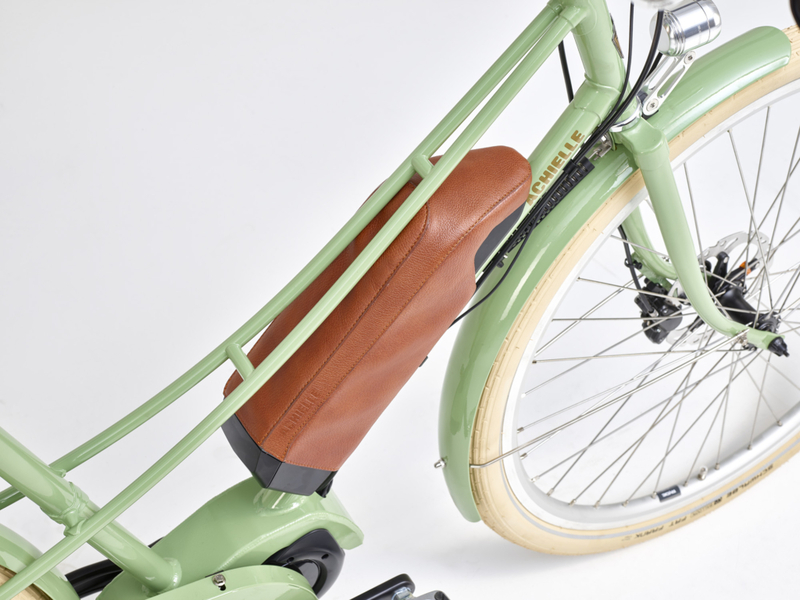 Cycling has never been so pleasant and simple. 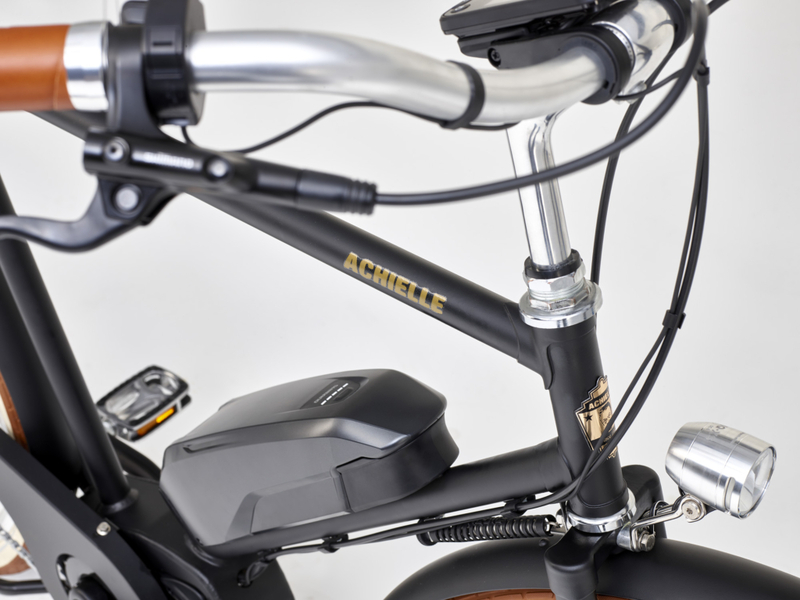 When designing and building our e-bike series, we looked for the very best. 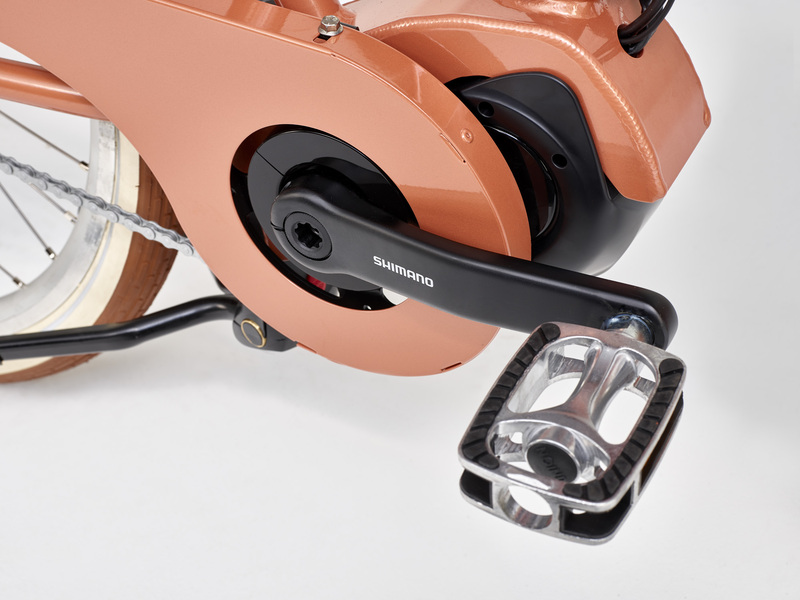 That’s why we started from the Shimano Steps mid-motor. 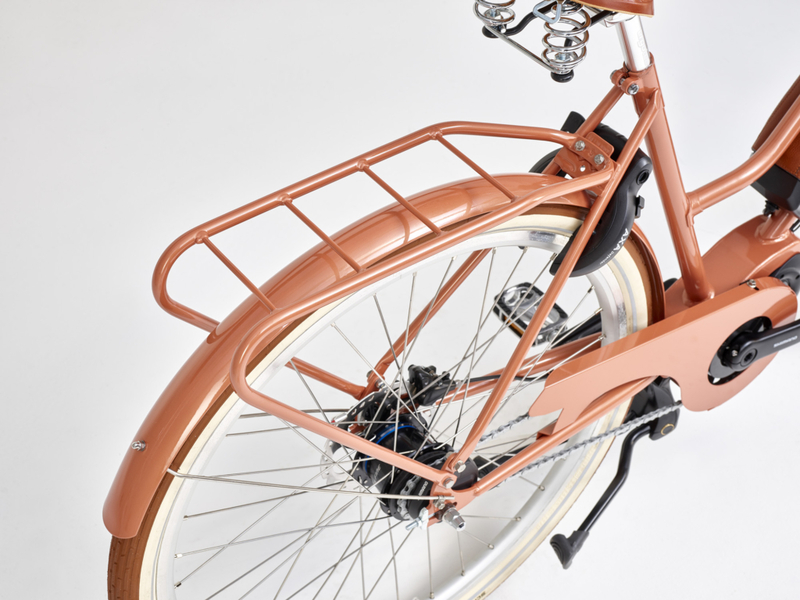 We did not opt for the easy way but decided to design, test and build the entire frame on our own. This enabled us to build it completely to our wishes. 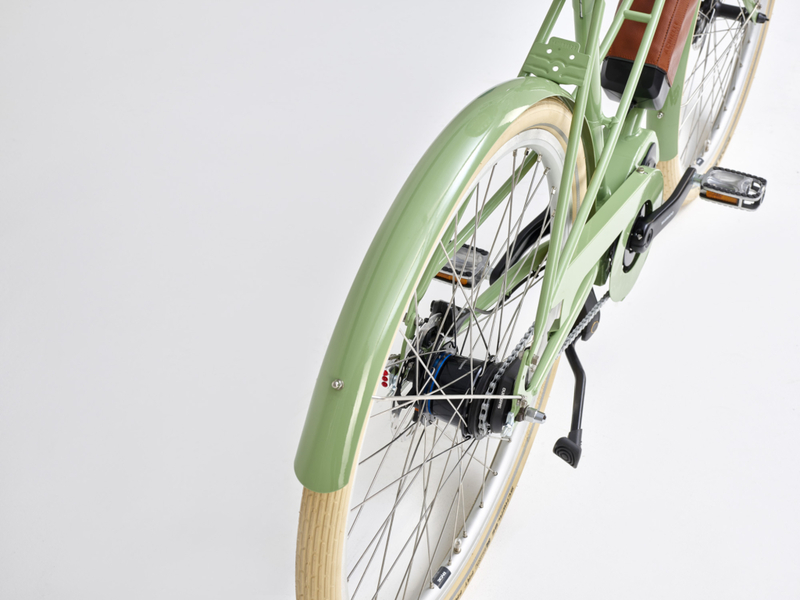 We decided to build the bicycle from maintenance-friendly, high-quality components. 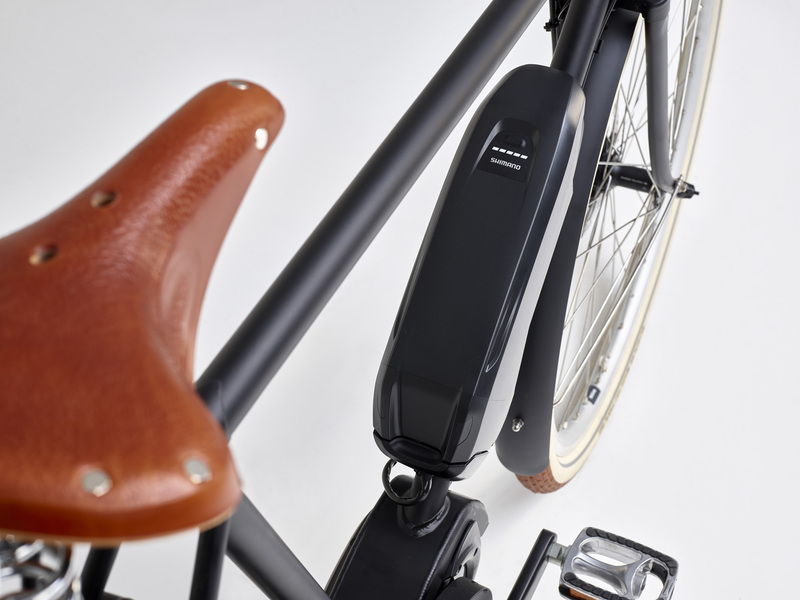 In addition to the Steps system, the bike changes gears electronically and automatically via Di2 (always in the correct gear). 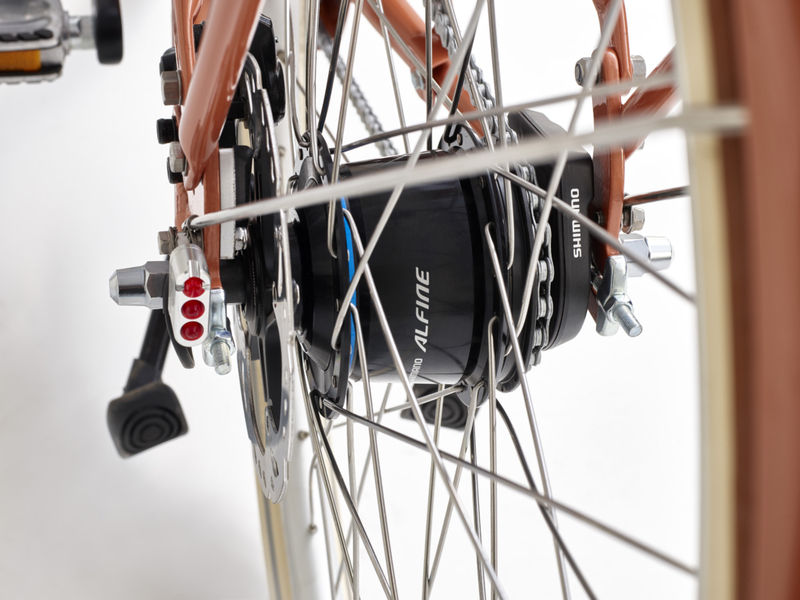 The 8 gears are also from Shimano and belong to the Alfine series. These Alfine gears are specially designed for heavy workloads and are easy to use. 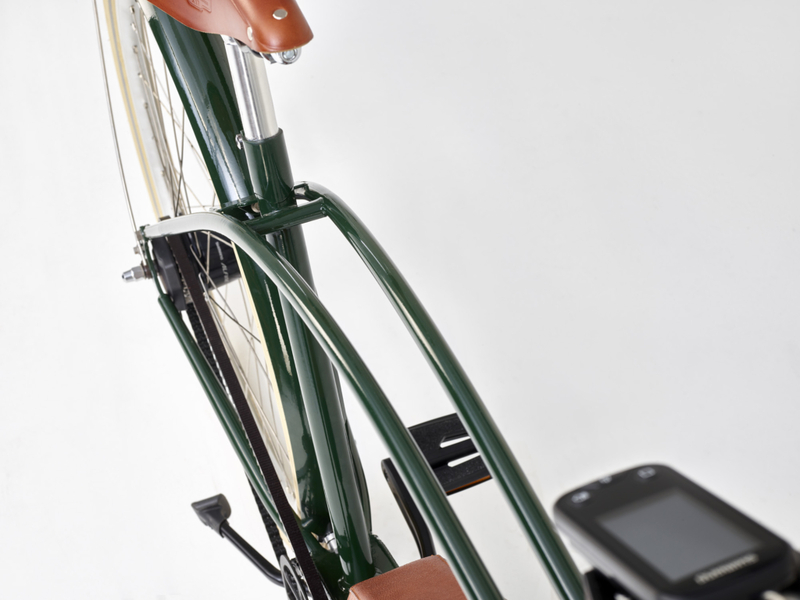 It is important to ride fluently, but it is at least equally important to be able to stop quickly. 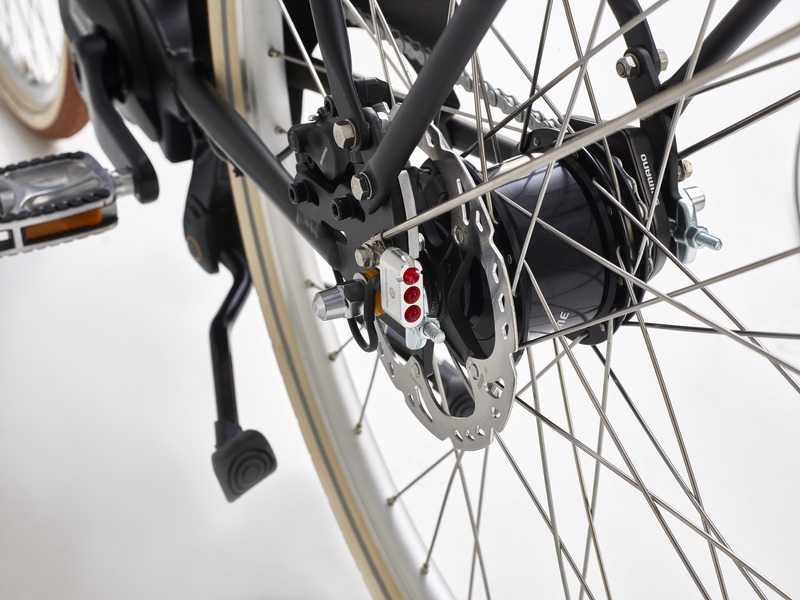 This is why our Steps e-bikes are always fitted with hydraulic disc brakes. 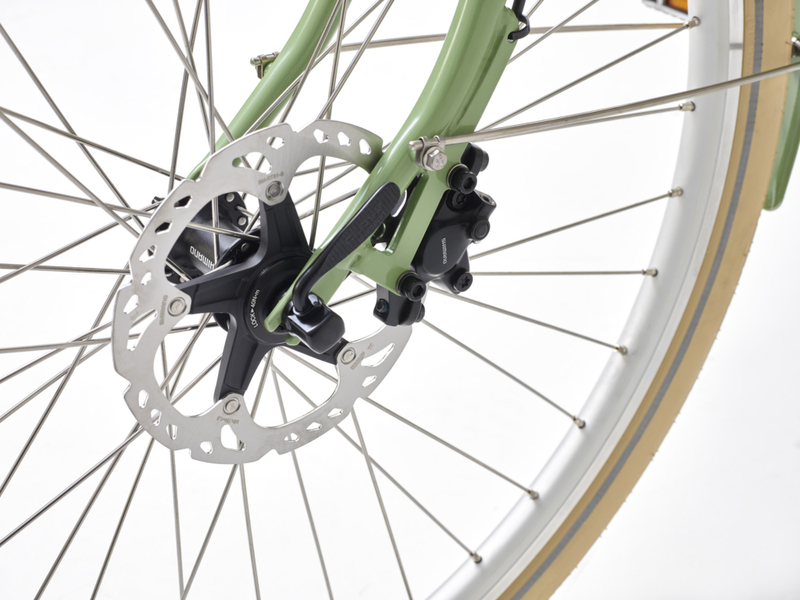 These brakes ensure a constant and resolute braking force. You can choose the rest of the construction almost completely on your own. 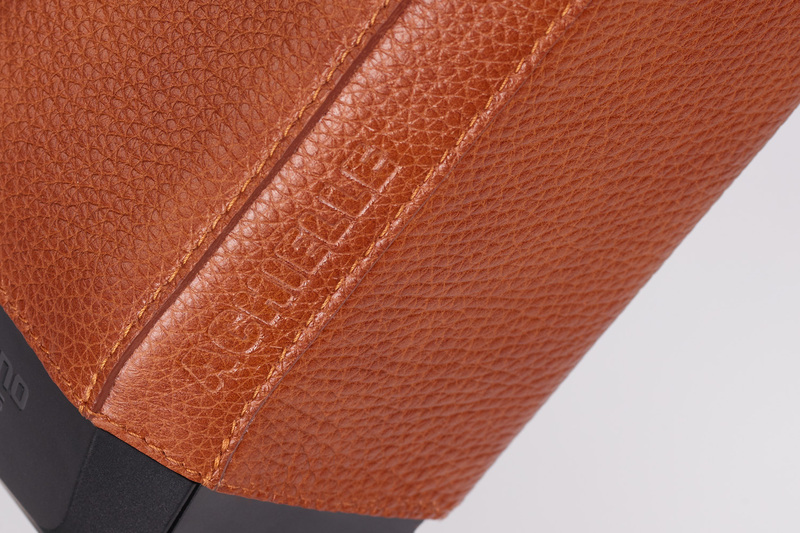 We offer several frames and over 10 colours, you choose the fenders, the carrier, the chain guard, the tyres, … and you can opt for a matching leather cover for the battery. You can also freely determine the lighting. 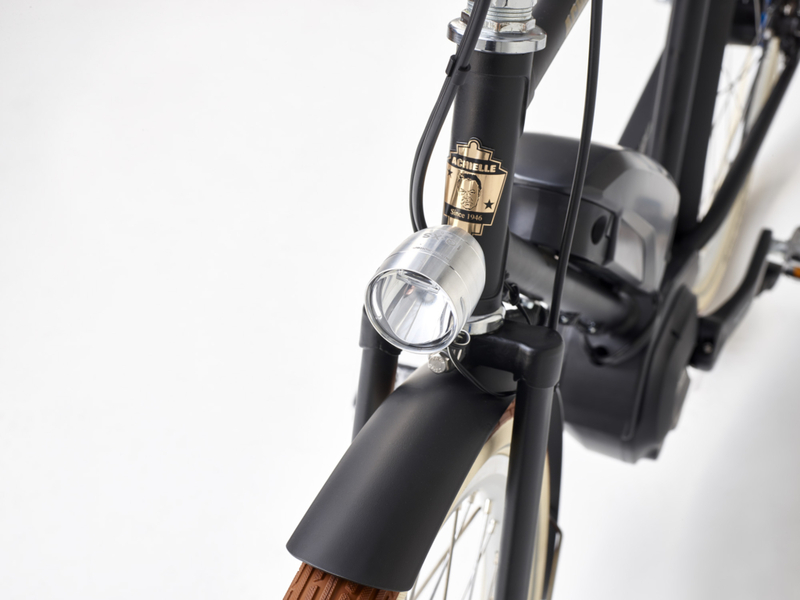 You can opt for AXA’s e-bike lighting or Supernova’s super-deluxe lighting (incredible light yield). 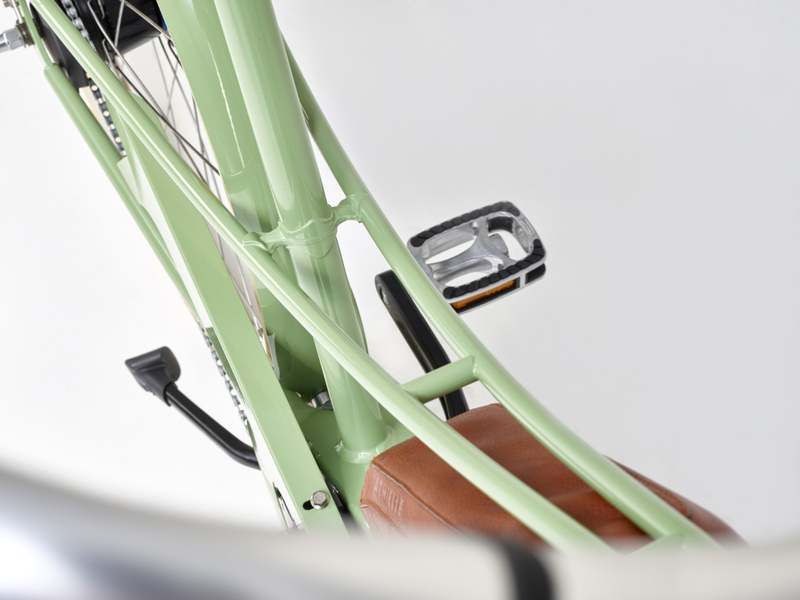 The combination of the handlebar and the saddle makes it possible to achieve a sporty riding position as well as a straighter, more comfortable riding position. 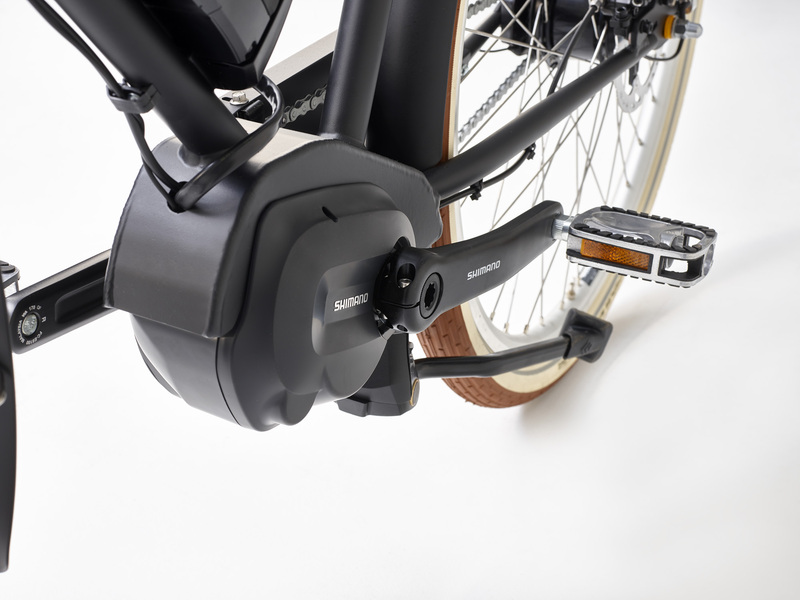 All of our Steps e-bikes are by default fitted with an extra-wide double stand which narrows when you fold the stand so as to increase your comfort. 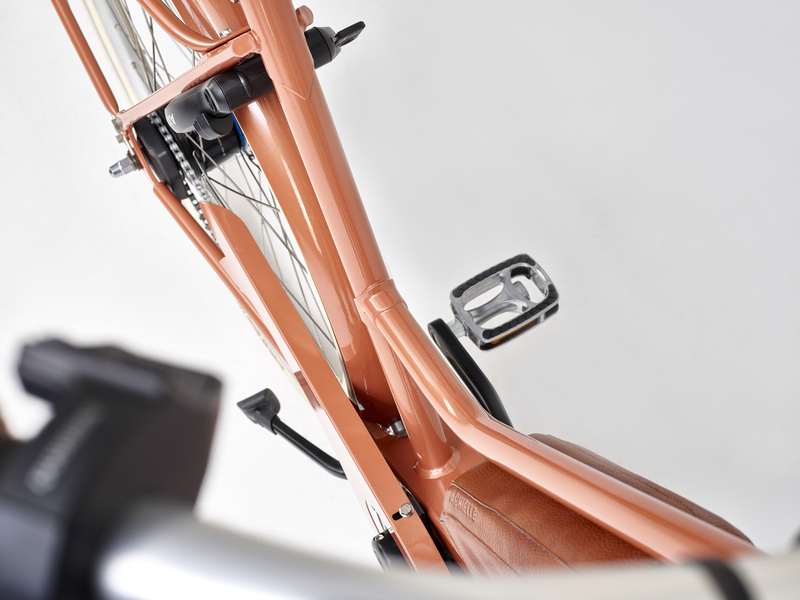 We looked for a high-quality system for our line of electric bicycles and soon ended up with the Shimano Steps system. 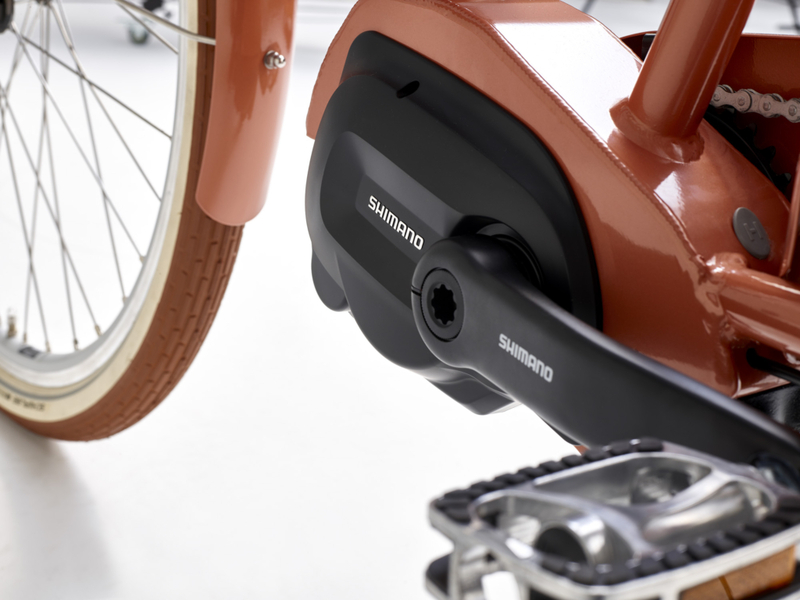 Shimano Steps is a complete system mounted on the frame (mid-motor). 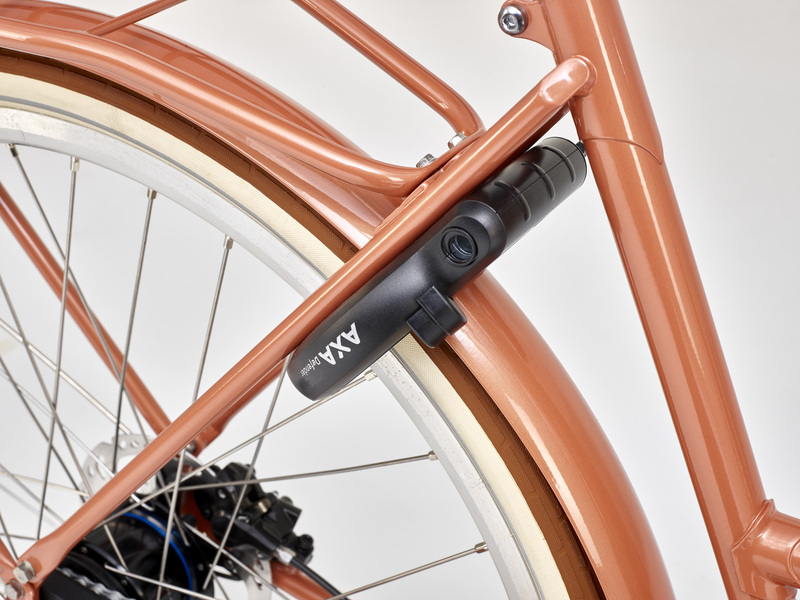 The integration of the drive unit in the vicinity of the bottom bracket ensures that the weight is located low in the frame. 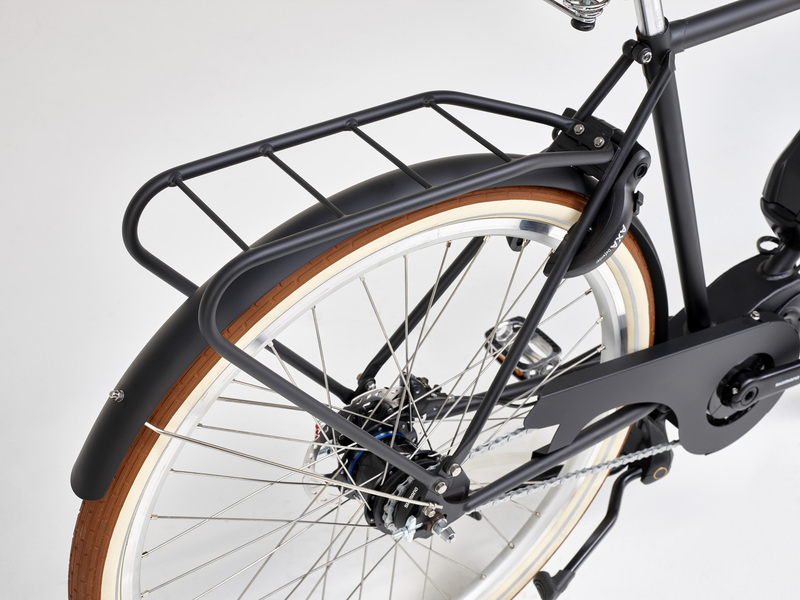 This makes the e-bike easier to handle. 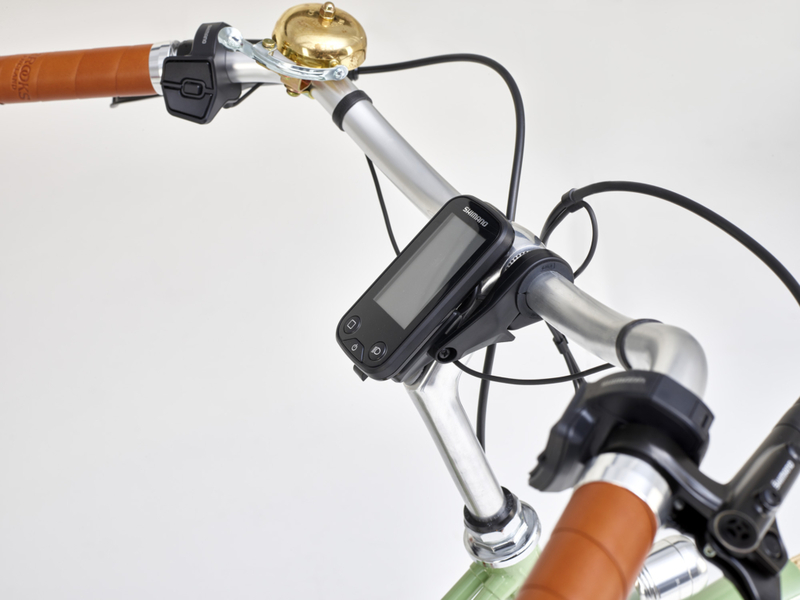 The most important electronics are integrated in the drive unit, which guarantees a reliable and weatherproof system. 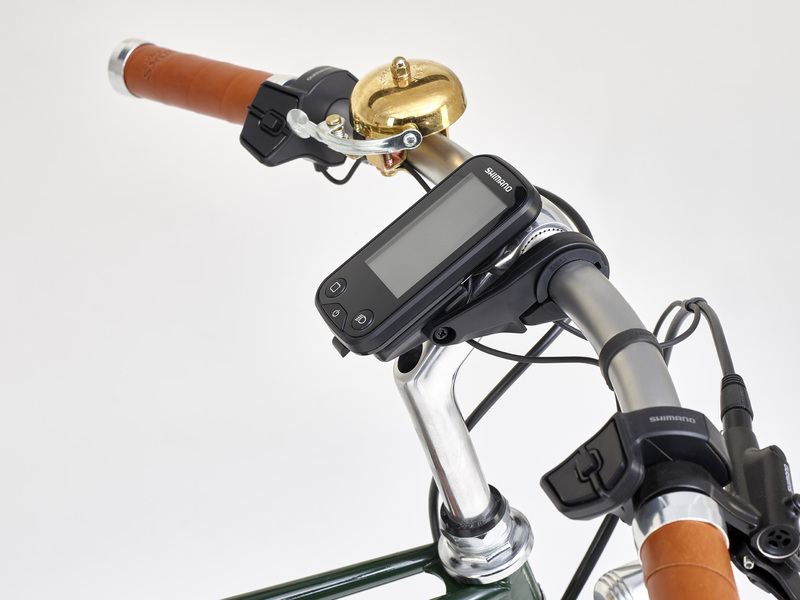 Shimano steps is a lightweight system with a powerful lithium-ion battery and an intelligent battery management system. 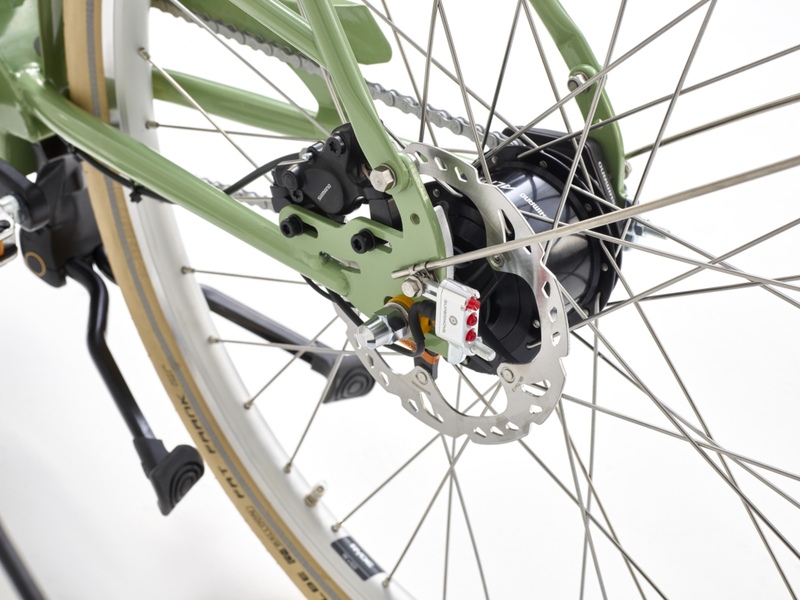 The Steps system is combined with the internal Di2 hub gear, an electronic circuit perfectly integrated in the drive unit. 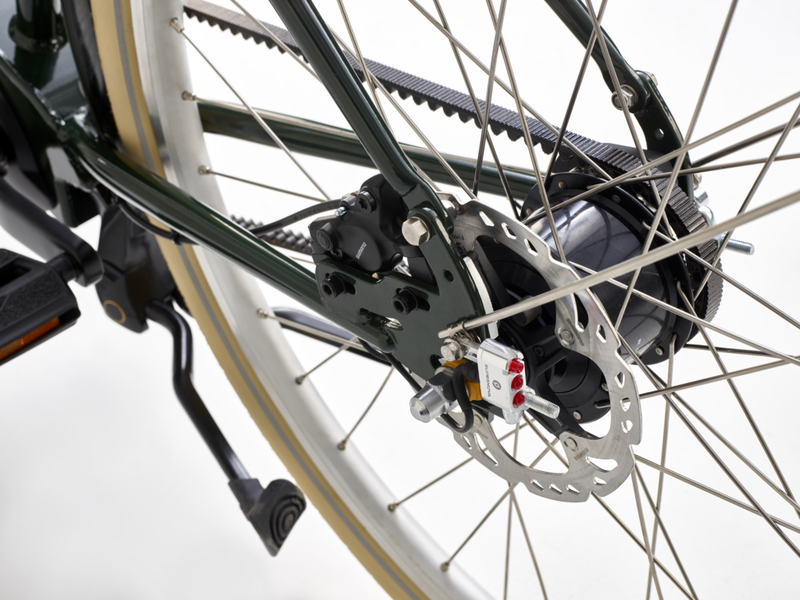 So you do not change gears by moving a rotor or level; this is done electronically by pressing a button. 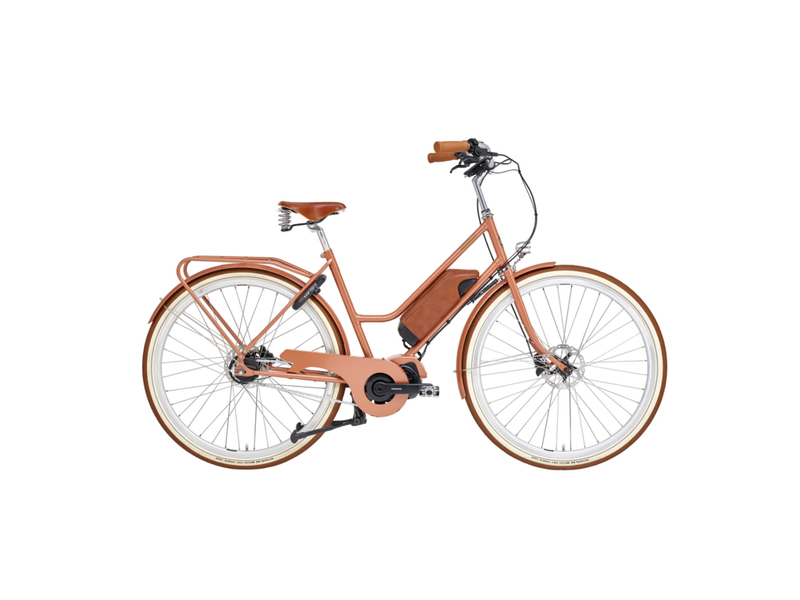 In addition, the system changes gears automatically, depending on your speed and the applied force, it will select the correct gear. 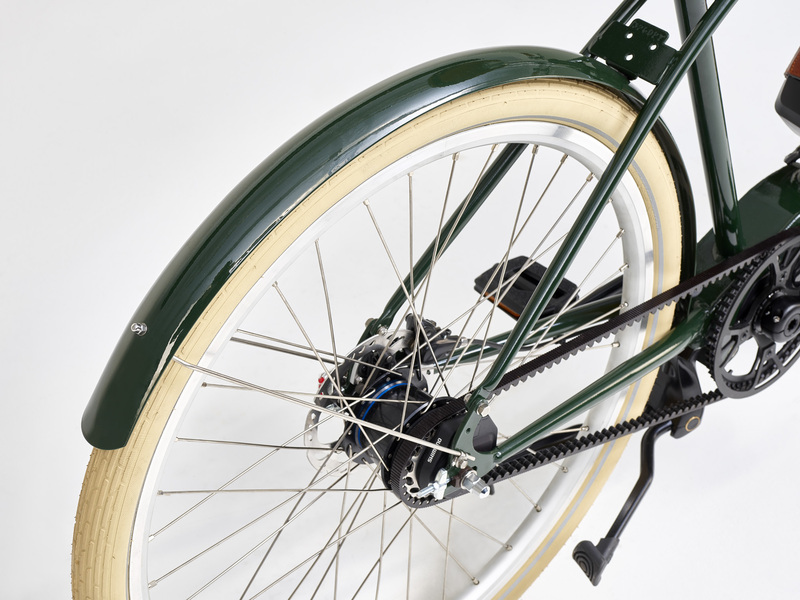 Briefly reducing the power while changing gears ensures a remarkably smooth transition from one gear to another. 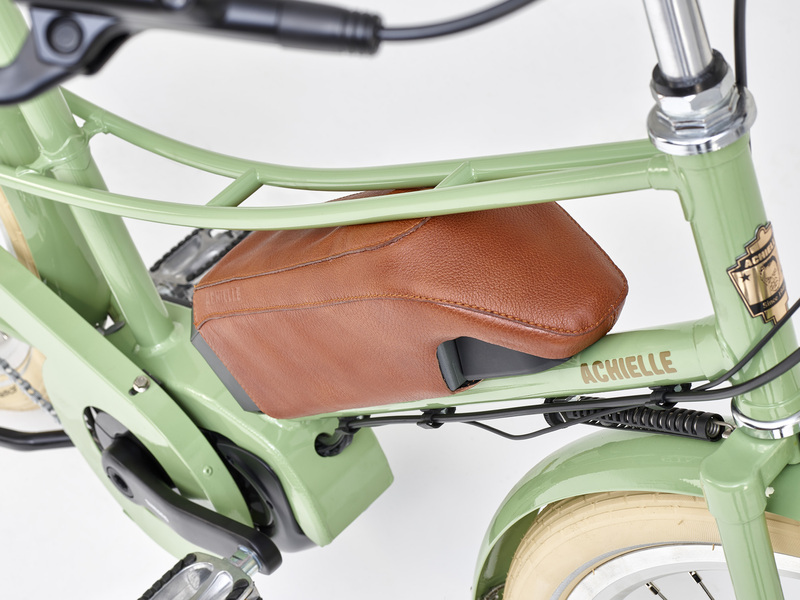 In addition, the system automatically returns to a lower gear when you stop and is ready for a speedy departure when the light turns green. 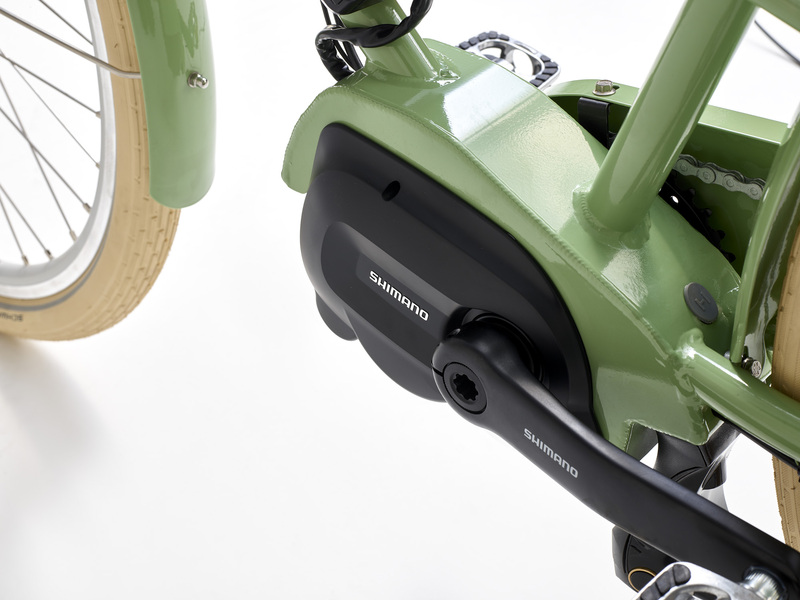 Only Shimano has this knowledge of the electrical drive unit and the gear components. 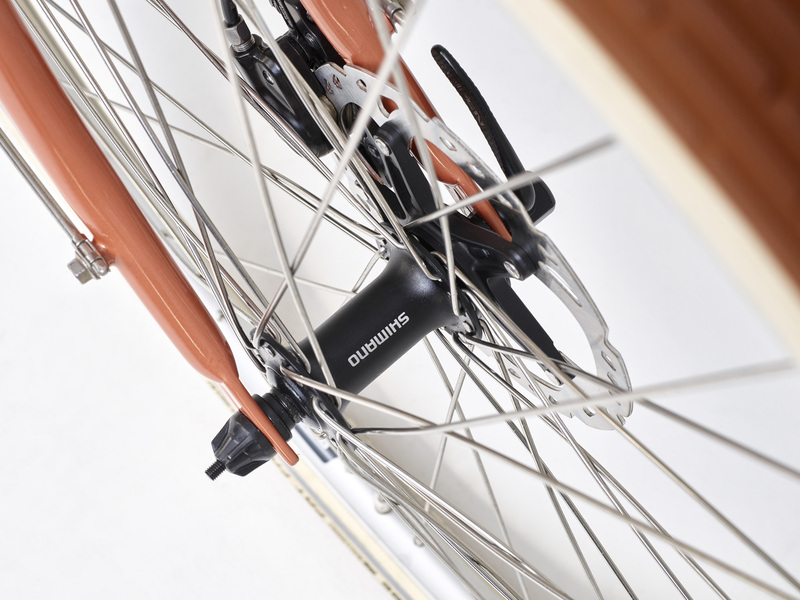 Only Shimano can accomplish this integration. 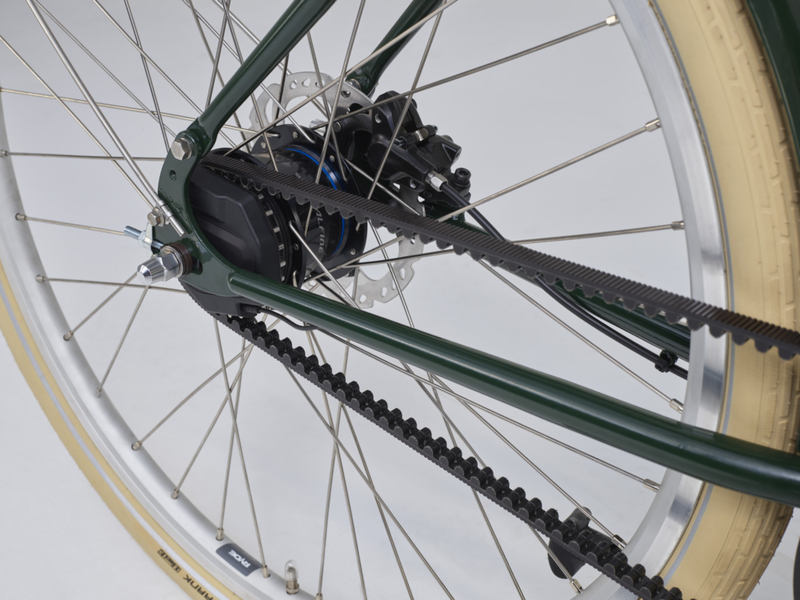 And this makes a huge difference for the rider.